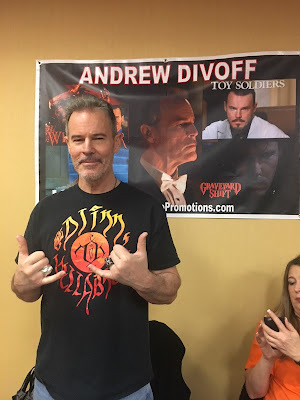 Andrew Divoff is the best. Seriously, I totally love the guy after spending a fair amount of time with him - far more than we usually spend with anyone at a convention, really. Usually we like to hole up in our room at the end of the day. So, Andew played the main bad guy in Toy Soldiers (which also happened to star my handsome hubby). 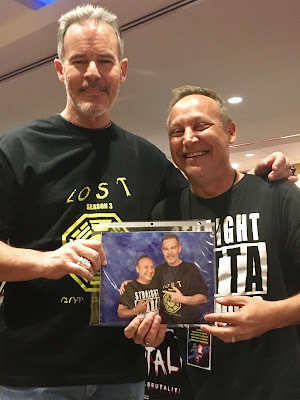 Andrew was very convincing as a bad guy, but Keith has always told me what a sweetheart Andrew was in person. He wasn't kidding! I was dying laughing over these pictures. 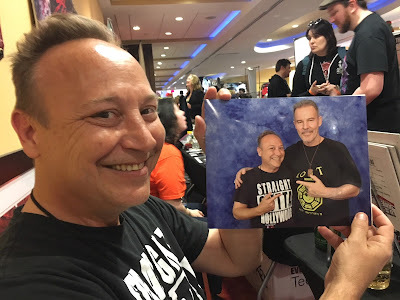 Andrew and Keith both happened to be doing their photo ops around the same time, so they went and took some pictures together. They then went and signed them to each other like huge nerds and I loved every minute of it. 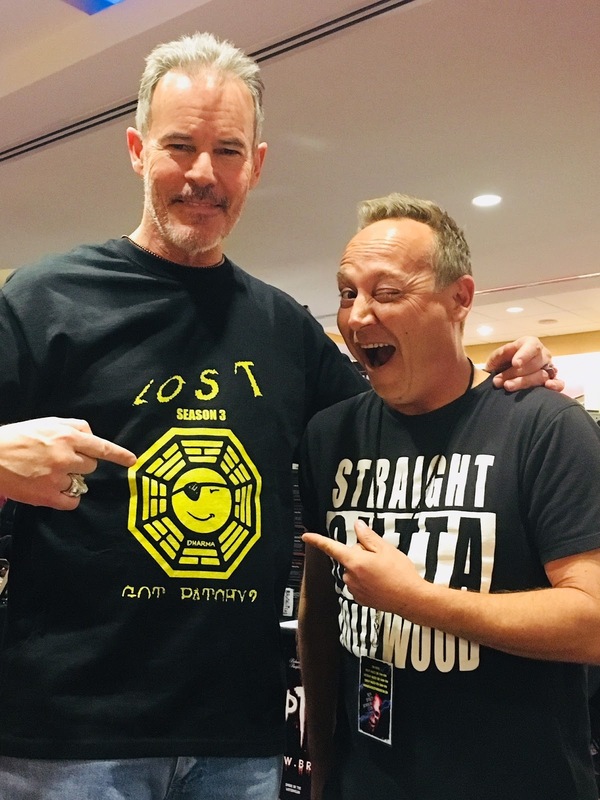 Andrew was also on Lost, which Keith is a HUGE fan of. They tried to do a "mean" shot, but you can see Andrew about to break into a smile because Keith was cracking him up. 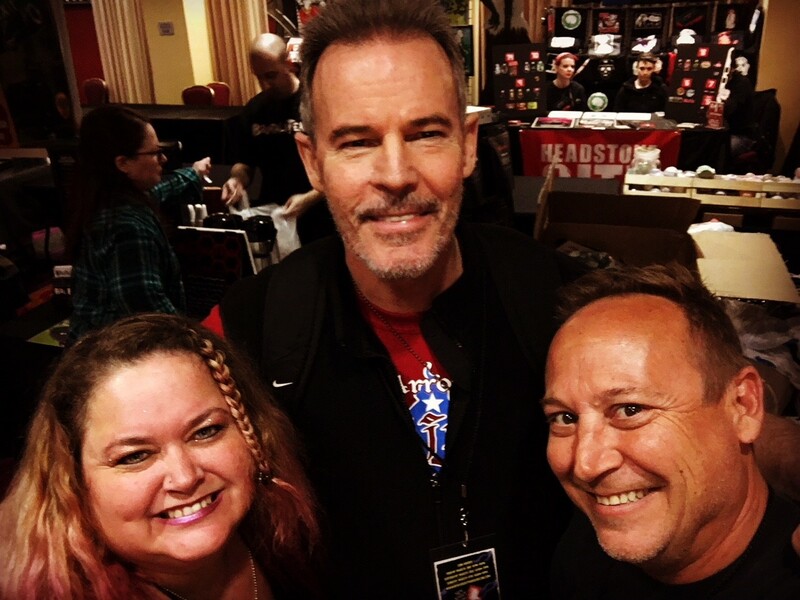 Love Andrew Divoff! 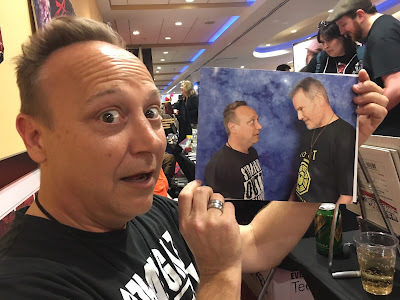 Such a great guy. So happy I finally had the chance to meet him. We'll see him again soon for sure!